Description - Need carpet, but want a more modern look than the carpet found in your parent's house? Then look no further than Mohawk's Champion carpet. Great for any room in your home or business, this USA made carpet is the perfect alternative to the cold, hard surfaces that are gaining in popularity. Resistant to staining, soiling, and pet urine, this 'life proof' broadloom carpet will add warmth and comfort to your home. 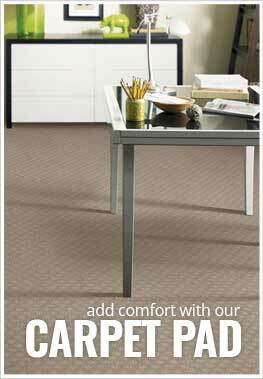 Backed by a lifetime warranty, this carpet is certain to look like new for many years to come. Recommended Uses - Mohawk Champion is the perfect soft, durable flooring option for any room in your home or business and is commonly found as flooring in basements, bedrooms, dining rooms, as living room flooring, in spare rooms, as den flooring, in churches and much more. Stain, soil, and pet urine resistant. Anti-static and CRI Green Label Plus certified.